Dale Gilbert Jarvis: Haunted Ground - A book update! Haunted Ground - A book update! Hello all! 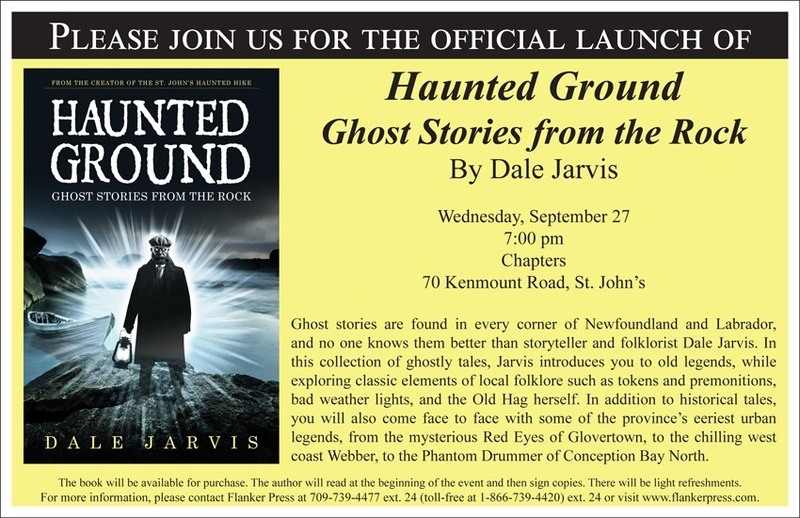 Things are moving along quickly now, and I'm pleased to announce the official book launch for "Haunted Ground - Ghost Stories from the Rock" will be Wednesday, September 27th, at Chapters in St. John's! If you plan on coming, check in there, and invite a friend! The book has already been made an Editor's Pick in the fall edition of Atlantic Books today! (p64) "This is one creepy book," it starts! You can read the full description online here. See you on Sept 27th!